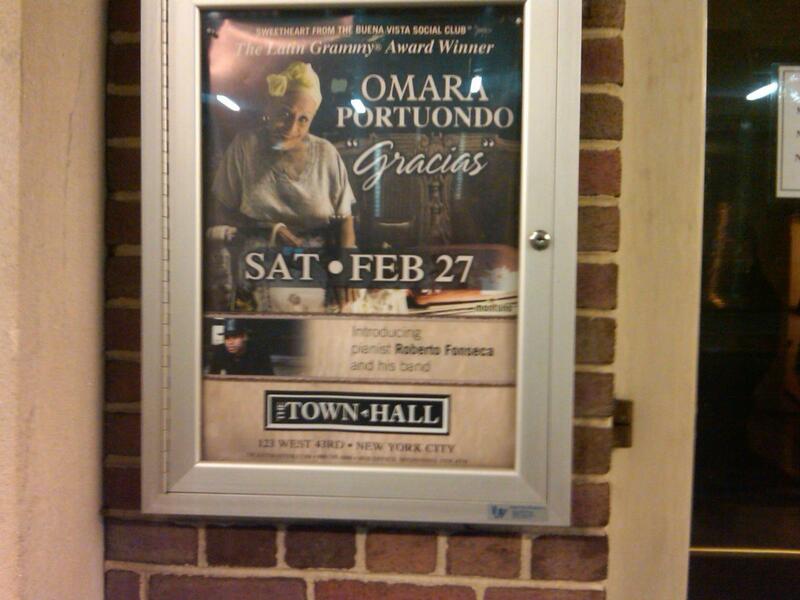 Omara Portuondo performed last Saturday February 27th at Town Hall in New York, with Roberto Fonseca as a special guest. The New York Times published the concert review by Jon Pareles. March 11th Omara will perform in Fort-de-France, Martinique and then March 14th a European tour commences at the Théâtre d'Orleans, Orléans in France with additional performances in France, Norway and Belgium.